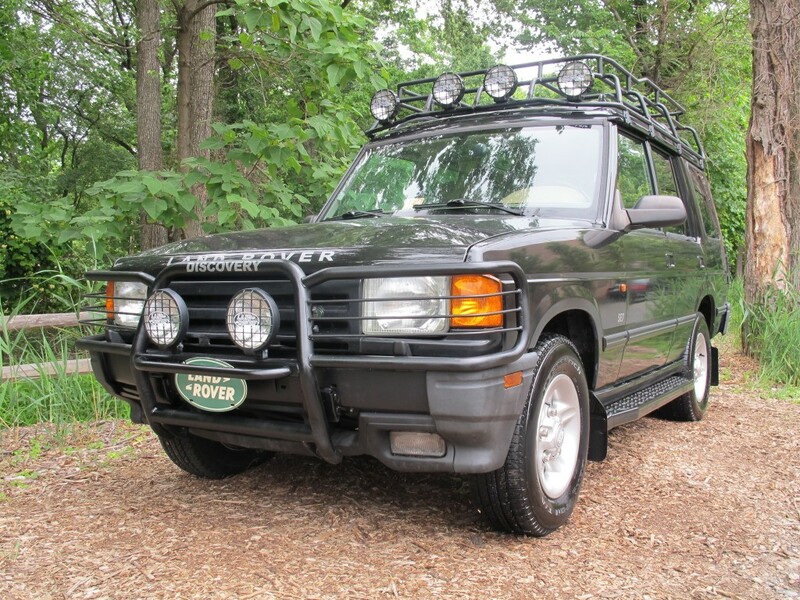 1998 LAND ROVER DISCOVERY I SE7 ... 94,593 Original Miles 7 PASSENGER, SAFARI PACKAGE *** RUNS AND DRIVES 100%*** Engine : 8 Cyl, 4.0L Transmission : Auto Vin : SALJY1243WA781935 Exterior : Black Interior : Tan Body Style : SUV This SUV has Automatic Transmission, Power Brakes, Leather / Power / Heated seats, Fog lights, Driving lights on the Front Brush guard, Driving lights on the Roof rack, Back-up light on the Roof rack, Tail light guards, Ladder on the Tailgate, OEM Rubber floor mats, OEM Rubber trunk mat, 4 Cross drilled rotors, Power windows, Power door locks, CD Changer / Tape / AM / FM, Dual Power Sunroof and Dual Zone Air Conditioning. Engine is in Good Shape, does not smoke, does not leak, nice and quiet. Transmission feels Perfect, shifts without any problems, without delay, and without noise. Suspension is in Excellent shape, Car tracks nice and straight. There is No Evidence of any Electrical problems. The exterior is in Excellent shape for a 1998. ( !!! Check out the pictures !!! ). There is absolutely No Rust Anywhere on this Beauty. Leather Seats, Carpet Floor and Glass are all in Great shape ( !!! Check out the pictures !!! ) Interior of this car is Nice and Clean ( !!! Check out the pictures !!! ). Our Upholstery shop replaced the Headliner and resealed sunroof. This SUV has 5 Brand New matching Tires that are mounted on Good straight rims. It will be sold with a clear title and it will be sold as-is, where-is.